If you have a shop front, we can bring it back to life with our efficient and thorough window cleaning service! Brisbane Window and Solar Panel Cleaning is one of the very few Australian companies to meet the internationally recognised Quality Certification ISO 9001. So you can be confident our shop front window cleaning work will always be of the highest quality. As a business owner you know just how important it is to show off your product in the best possible way. It is imperative that the consumer always has a crystal clear view of your shop front – just like poor lighting, you don’t want your dirty windows to interfere with a sale. That is why commercial shop front window cleaning is essential for your business. Brisbane Window & Solar Panel Cleaning makes sure that you not only make a sparkling first impression, but a lasting impression. It all begins with our professional call centre team and continues with our passionate Brisbane window cleaners. At every step of your cleaning, our goal is to ensure that you are 100% satisfied with our service. If there is anything more that we can do, please do not hesitate to let our team know. Our friendly and professional team of Brisbane window cleaners is always here to ensure that you are happy with our service. It all starts with our contact centre – our operators will answer any of your questions and provide you with the best solution for your business. Our team is happy to send an automated email or text message notifying you that the work has commence and/or that is has been completed. Giving you piece of mind that we have cleaned your Brisbane windows. Our onsite staff are all fully insured for Public Liability and all work is covered by Work Cover. This gives our business customers piece of mind as they have nothing to worry about. To ensure extra security, we also run a police check on our cleaning team. For further safety of you, your staff, your customers and our team we make sure the Brisbane Window & Solar Panel Cleaning staff follow our strict Occupational Health and Safety standards, which are reviewed and updated regularly. When our friendly team attends your premises, they will be easily identifiable with a Brisbane Window & Solar Panel Cleaning uniform and will be carrying identification at all times. Before we start any work, we make sure that all safety measures are met for your staff, your customers and our team. To ensure a job well done, every window will be thoroughly cleaned including the entire frame, fly screen and removal of any cobwebs. Once we are inside, the team at Brisbane Window & Solar Panel Cleaning will either remove their shoes or wear shoe covers to protect your interior. Brisbane Window & Solar Panel Cleaning has the ability to offer their services outside of your business hours. This ensures that there is little to no interruption to your day-to-day operations. 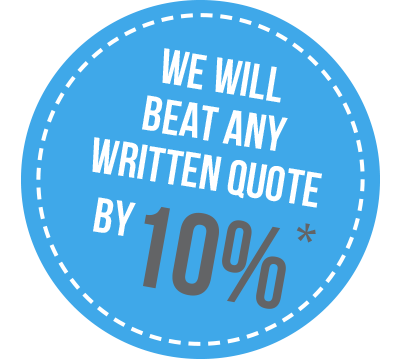 But not only that, we also offer a 100% money back guarantee. So if you’re not happy, we’re not happy! At Brisbane Window & Solar Panel Cleaning, we believe that specialised equipment should be used by qualified cleaners as this reduces the possibility of any injuries and damage. You can be confident that our team is well qualified to look after your shop image. We are never ones to shy away from the traditional window cleaning method of a good old squeegee and water. If this gives us the sparkling windows, we will use it! However, we do prefer the more modern equipment as it allows us to achieve quicker, superior results. To get your shop front window looking shiny as new, Brisbane Window & Solar Panel Cleaning uses a water-fed pole system. It makes your windows squeaky clean due to the use of purified water. The water-fed pole system works by processing normal water to remove any residue to leave a polished finish. This pure water makes sure your windows are scrubbed of dirt, dust and grime before it is rinsed leaving a streak-free finish. The water-fed process allows us not to use any chemicals to wash your windows, which makes it the environmentally friendly choice. The other great benefit of this system is that it can reach up to 7 stories, making it easier for our cleaners to reach very tricky areas that our competitors can’t. To make sure that your interiors stay clean, our team uses a water free method to clean the inside of your windows. This method ensures there are no drips and no damage to your walls, furniture and products. At Brisbane Window and Solar Panel Cleaning, we understand that your business is one of a kind, making your requirements for commercial window cleaning unique. That is why our team tailors our service to your needs by providing the most cost effective and efficient way of getting your windows sparkling. But our Brisbane based window cleaners go even further, providing a tailored quote that details all aspects of the window cleaning that you would have discussed with our professional call centre ensuring we don’t miss a thing. Our professional call centre listens to your requirements and always recommends the best solutions. We take the time to suggest methods that will achieve the highest quality results in the quickest time possible while reducing the amount of interruptions to your business day. To help further minimise the inconvenience to your every day trade, we offer Brisbane window cleaning outside of normal business hours. When you book our service, please make sure to let our friendly team know the times that suit you best, and wherever possible we will work within your request. The length of time it takes to complete a window clean varies depending on the size of the shop. For a large car dealership, it can take up to 7 hours to clean all the windows, inside and out. On the other side of the scale, a small barbershop may only take 10 minutes. Our professional team will let you know approximately how long your shop windows will take at the time of booking. For an obligation free chat, please send us a query so that we can discuss your window cleaning requirements and the best way to achieve your objectives. Also check some other window cleaning methods if you are interested.